An empire will burn. 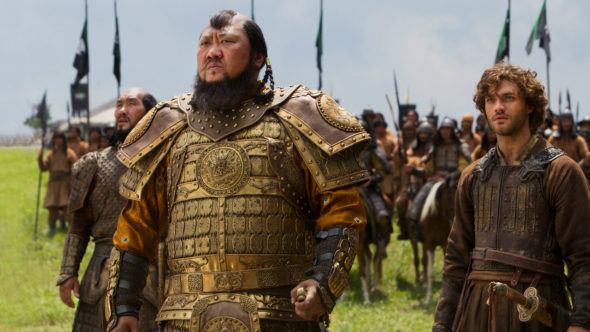 Below, Watch the Marco Polo TV show’s season two featurette from Netflix. The ten-episode second season of Marco Polo drops tomorrow, Friday, July 1, 2016. The historical drama follows 13th century explorer Marco Polo during his adventures along the Silk Road. In the video, the cast and crew set the scene for Marco Polo, season two, which promises to be much darker, internally as well as externally. 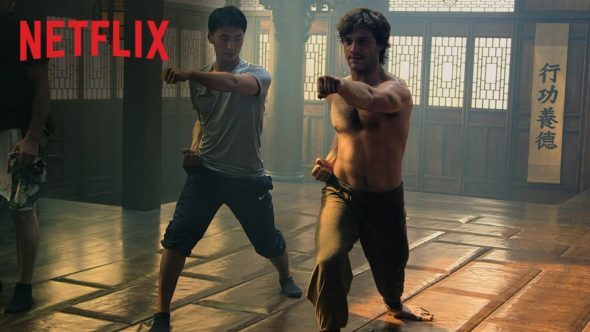 Featured in the video are Creator EP John Fusco, Lorenzo Richelmy (Marco Polo), Rick Yune (Kaidu), Benedict Wong (Kublai Khan), Claudia Kim (Khutlun), Remy Hii (Prince Jingim), Olivia Cheng (Mei Lin), EP Patrick MacManus, Mahesh Jadu (Ahmad), Tom Wu (Hundred Eyes), Gabriel Byrne (Pope Gregory X), Michelle Yeoh (Handmaiden/Lotus) and Brett Chan (Stunt Coordinator). John Fusco is executive producer and showrunner along with Dan Minahan, whose previous work includes Homeland and Game of Thrones. Patrick Macmanus, Harvey Weinstein, Bob Weinstein. and Elizabeth Sarnoff also executive produce. Have you watched the first season of the Marco Polo TV series? Will you devour or savor the second season on Netflix? Let us know, below. Absolutely stunning. Congratulations to Netflix and the cast of this amazing show. Love it! I’ve gone through almost all of Season 2 in a day, and it’s thrilling — again! Finest thing I’ve ever seen on TV, and pretty much anywhere. Love the cast — incredible performances — and the gorgeous costumes and colors, and the dramatic situations are intense! Thank you, thank you, Marco Polo team!